Uglyworld #1611 - Extincts Mini Volcano - (3 of x), a photo by www.bazpics.com on Flickr. 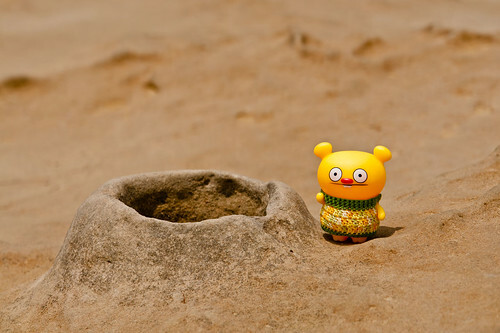 Hi's there everyone, I knows that I has been super quieters in the lasts weeker, but it's all because I have been searcherings the islands of Taiwans for volcanos, and looks what I has findereds, an ugly-sizered dormanters volcano! Don't worries about me standerings so closers to it, I has thoroughlies checkered it outs to makes sure that it won't start sprayerings molten lavas all over the place. See you again soons for my next adventures, and before you askers what they will be, you will justs has to waiters and see...!! !